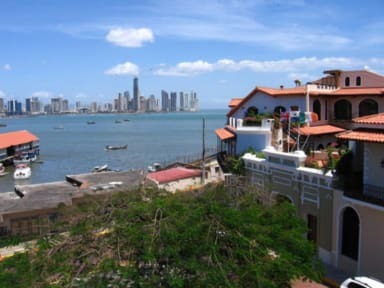 Luna's Castle Hostel i Panama City, Panama : Boka nu! Loved this hostel and it's atmosphere! I never slept so bad in a dorm in my whole life! We thought that this hostel would be one of the best since the photos & comments seemed very nice, but was a dissapointment. Rooms are dark (like a scene from Harry Potter) & the wooden floor makes the beds shake when people walk(! ), so had hardly any sleep when people ran in and out (I'm usually not easily disturbed). The staff was numb and didn't bother to let me buy water 11 pm "Fridge's closed" allthough they sat beside it looking at Facebook.